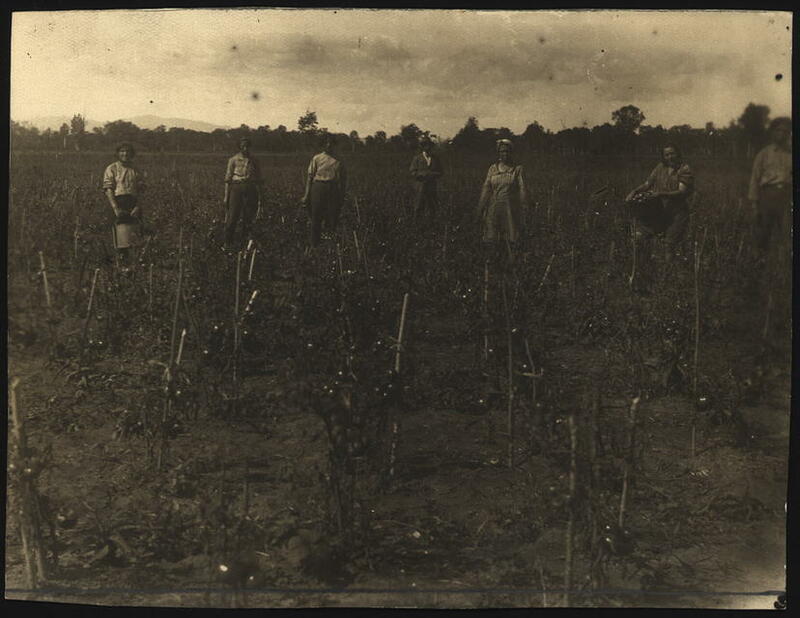 Harvesting tomatoes, from the National Library of Russia Department of Prints St. Petersburg, Russia. 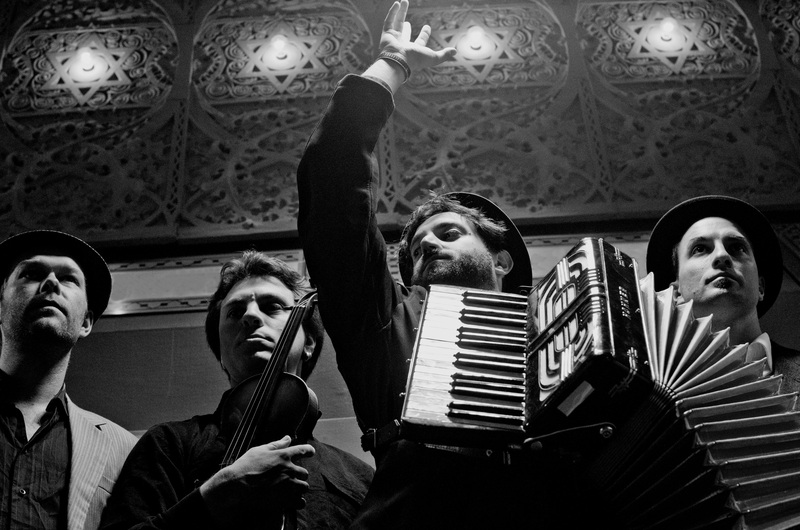 Shira Z. Carmel and Alon Diament make up the duo The Technicalities, a band that has adapted a series of poems written in the 1930s by poets of Birobidzhan, the Jewish autonomous region of the Soviet Union. The name of the band was inspired by the rumor that mere technicalities led to the abandonment of the Uganda plan, 1 1 Which proposed the establishment of a Jewish homeland in British East Africa (present-day Kenya), and was enthusiastically supported by Theodore Herzl. and so the group similarly attempts to imagine the possibility, in song, of alternative Jewish territorial projects. Shira sat down with Founding Editor Saul Zaritt to talk about this project alongside NYU Professor of Yiddish Studies Gennady Estraikh. Shira, tell us a bit about how you got started on this project. I know you are a musician engaged in a variety of projects from doo wop to folk, and even came up with Yiddish covers of contemporary pop songs. Why did you decide to focus on the poetry of Birobidzhan? Where did you learn about the Yiddish cultural enclave of Birobidzhan? SZC: Growing up in Israel, I had never (ever!) heard of Birobidzhan and its Jewish history. Whether it was due to the unspoken rivalry between the two ideas of a Jewish state, or because of the breakdown that was the end of its short yet fascinating history, Birobidzhan isn’t and was never a part of the fundamental history education in Israel. I first encountered Birobidzhan in 2012, when Udi Edelman—the curator of the exhibition “Le’an?” (“where to?”) in The Israeli Center for Digital Art—contacted me about singing in Yiddish for a video piece by Michal Blum. The song I was to record was the Yiddish anthem for a made-up Jewish land called Nay-Yuda, “New Judah,” and just like the other pieces in the exhibition, it dealt with the intriguing question of a Jewish state. As I was always fascinated with this matter, I naturally agreed to participate. And how did you choose the texts that you ended up using in the musical arrangements? SZC: In one of our meetings, Edelman showed me a book by Eliahu Benjamini called Lands for the Jews: Uganda, Birobidzhan and 34 Other Plans. I borrowed it and was amazed to find this huge variety of ideas and attempts to build a Jewish land, attempts and ideas I had never heard of (except for Uganda of course). Udi and I discussed Birobidzhan, and how crazy it is that another land for the Jews existed without us knowing about it. The Yiddish cultural life in Birobidzhan, which included at its peak two newspapers and various publications, was well-depicted in the book, and many examples of poems written by the new hopeful writers of Birobidzhan—mostly national patriotic poems—were in the book. These poems were impressively similar to the Zionist poetry made into songs we, as Israelis, grew up on. I decided to try and compose music to these poems and prepare a musical program for the exhibition’s opening night. From the National Library of Russia Department of Prints St. Petersburg, Russia. Professor Estraikh, give us a bit more background on Birobidzhan. 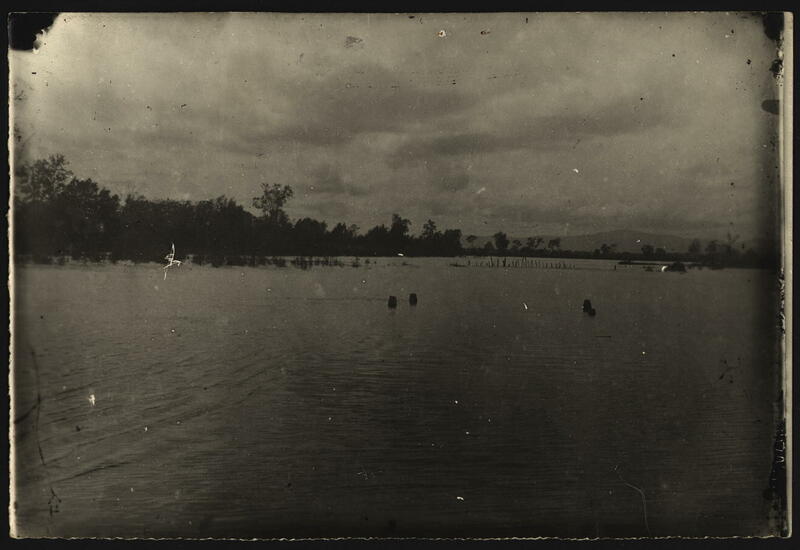 What was the connection, if any, between this territorial project and other Jewish territorial projects like Zionism? GE: It is a stereotype: Birobidzhan as a Soviet answer to the Zionist project. In fact, Zionism played a minor, if any, role in the establishment of the Far Eastern unit. Of course, later, barrels of ink were consumed in writing about Birobidzhan versus Palestine/Israel. The main objective, however, was to “normalize” Jews. The structure of the Soviet Union was based on ethnic territorial units (Ukraine, Georgia, etc. ), therefore it was important to have a Jewish territory, too. The first attempt in the 1920s was associated with Crimea (see, e.g., Jonathan Dekel-Chen’s book and this article by Jeffrey Veidlinger), which was partly successful. However, Crimea (in fact only a fraction of the peninsula otherwise allocated to Crimean Tatars) did not provide enough space for a republic; it was a rather densely populated territory. The Far Eastern, under-populated corner appeared to be more promising. What was the general reception during the time of such Soviet territorial projects, within the Soviet Yiddish community, Eastern Europe, and the global Yiddish/Jewish world? GE: The Crimean project was generously sponsored by Americans and—to some extent—other donors. The JDC had a special outlet, Agro-Joint, for dealing with settlements in Crimea and other areas in the European part of the USSR. The enthusiasm was enormous. Among the sponsors were Julius Rosenwald and the Rockefeller Foundation. There is a rich corpus of Yiddish literature, by Soviet and non-Soviet authors, devoted to Crimean colonies. About 100 people came from Palestine to participate in the project. The American Yiddish writer Peretz Hirschbein published a novel, Royte felder, based on his experience of living in Crimea for about 10 months. Birobidzhan became popular mainly in communist circles. Communists and communist sympathizers organized fundraising and some of them went to Birobidzhan. In fact, the number of people who wanted to go was huge, but the Soviets were afraid to let them in. Some positive signals toward promoting the territorial project came from Moscow in the mid-1930s; for instance, in 1936 a propaganda film, Seekers of Happiness, was released. What happened after all of this positive PR? GE: Then the year 1937 came, the year of mass repressions and purges in the Soviet Union, so only a very small number of foreigners managed to settle there. And in general, Soviet Jews were very reluctant to go there, somewhere “vu der shvartser fefer vakst,” or beyond the pale, especially as the project’s realization began in 1928, which coincided with a large-scale industrialization program in the country. So, it was much easier to find a job in industrial centers or even in the same shtetls. As a result, the aim of building a Jewish republic remained a pipe dream. Shira, what does it mean then to return in your creative practice to a kind of failed imaginary place? How do you adapt/rewrite as an alternative fantasy a project that in itself was mostly a pipe dream? 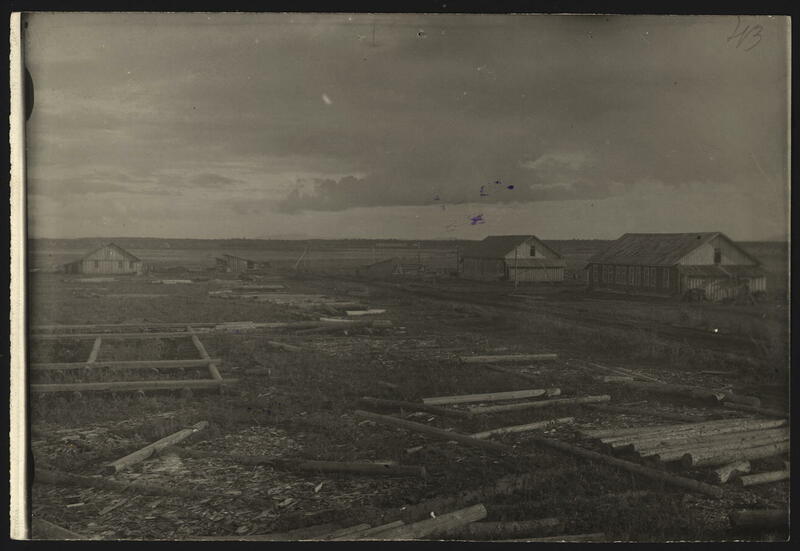 SZC: Birobidzhan, to me, was an imaginary yet real place—a sort of parallel world—an ideal that came to life for a short time, a place so distant in time and space (and so poorly documented) that it could be anything and everything I dreamed a Jewish state could be (a bit like the Zionists used to fantasize about Israel I guess). What kind of comment are you making then about your experience of the reality of Israel as a territorial project? SZC: Naturally, one turns to imagination when reality fails. Thus, the shame and repugnance I feel toward Israel’s policies, actions, and government have led me to fantasize about a better place, a place where it would all be “right.” Birobidzhan fit that utopian Israel I needed so badly, despite—or even because—it was a “pipe dream.” My Birobidzhan is a dream within a dream—one that can never be realized. Singing songs from that dream within a dream poses questions about this place’s possible existence, but also defines a very specific space and time for it to exist in: the space of the song. Using the poems’ texts, I wanted to ask questions such as: Could there be another land for the Jews? How will it look and what will it sound like? Most songs are sung from this naive, initial point on the dreamer’s timeline—the beginning—where everything is still possible. What kind of sound/musical genre did you decide to attribute to these songs? 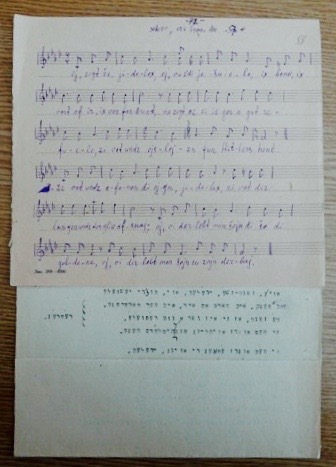 SZC: I first composed six songs for the opening night, and arranged them with my husband, Alon Diament, on piano and accordion, trying to be as considerate as possible of the lyrics. “Itster kinder,” a children’s song, got a naive, childlike theme. “Hart vern,” an encouraging poem about living through hardship, got an optimistic, tonally bright accompaniment and melody. A praise-song to Stalin got a very dramatic interpretation. Of course, knowing what the poet didn’t know at the time—that Stalin himself would be the murderous end of Birobidzhan—we tried to add the horror to the sheer admiration of the poem. Though this whole matter belongs to the realm of the collective, the historic, and the national, we composed the songs in a very personal way, in our own here-and-now. But we tried to open a pathway to the there-and-then, whether the ideal or the real one (as we imagined it). This may have resulted in pretty melancholic melodies, but such is life. Professor Estraikh, what is indeed left of this project today in the here-and-now, since Birobidzhan is still officially a Jewish autonomous region? GE: Nowadays it is essentially an atavism, useful for local functionaries and an attraction for Jewish exotics seekers. The “Jewish identity” of the region with a token Jewish population allows the locals to keep it as a separate unit, with a separate budget, which is good for local business. Birobidzhan was never all that Jewish from a demographic standpoint and it never became a significant center of Yiddish culture, though a 1937 (aborted) conference was supposed to crown it as the main center. Leading Yiddish authors never settled there; they preferred to hail the region from afar. Thus, David Bergelson visited the region only a couple of times, but produced two books about it. Recently there were rumors about downgrading the region’s status. The Birobidzhan entrance sign in Russian and Yiddish. If it was never all that important, why then were barrels of ink consumed in writing about Birobidzhan versus Palestine/Israel? Why does this remain a fascinating opposition to remember? GE: This is a topic for in depth study that (to the best of my knowledge) has not been done so far by scholarship. The issue of “Birobidzhan versus Palestine” was discussed in the press from the very beginning, especially in 1934, when the territory received the temporary status of an “autonomous region,” on the way to the status of a “republic.” It is no coincidence that at that time, Aug. 26, 1934, The New York Times published an article under the title “The Biro-Bidjan Project in Eastern Siberia Stirs Opposition as a Possible Rival of Palestine.” And this interest remains clearly to this very day, in various forms. SZC: Another way to look at this question is to bring up another question that remains to be answered, and is hovering over the whole project: Can there ever be a “grounded” land for the Jews, or will the physical Zion always fail to compare to the dreamed, longed-for Zion that has existed in our prayers and dreams for centuries? From the National Library of Russia Department of Prints, St. Petersburg, Russia. Which proposed the establishment of a Jewish homeland in British East Africa (present-day Kenya), and was enthusiastically supported by Theodore Herzl. Zaritt, Saul Noam. “Dreams and Technicalities: Birobidzhan Reimagined in Song.” In geveb, October 2015: https://ingeveb.org/blog/dreams-and-technicalities-birobidzhan-reimagined. Zaritt, Saul Noam. “Dreams and Technicalities: Birobidzhan Reimagined in Song.” In geveb (October 2015): Accessed Apr 22, 2019. 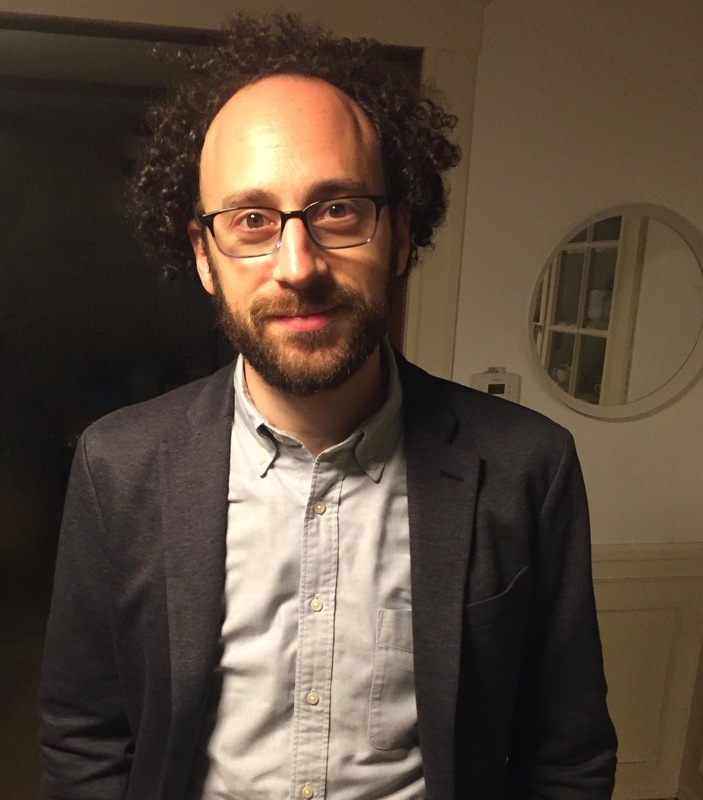 Saul Noam Zaritt is an assistant professor of Yiddish Literature at Harvard University. He is currently a senior editor at In geveb and one of the site's founding editors. Daniel Kahn talks about his musical influences, how all of his languages interact with each other in his songs, and what it means to “tradapt” a song across languages and time.